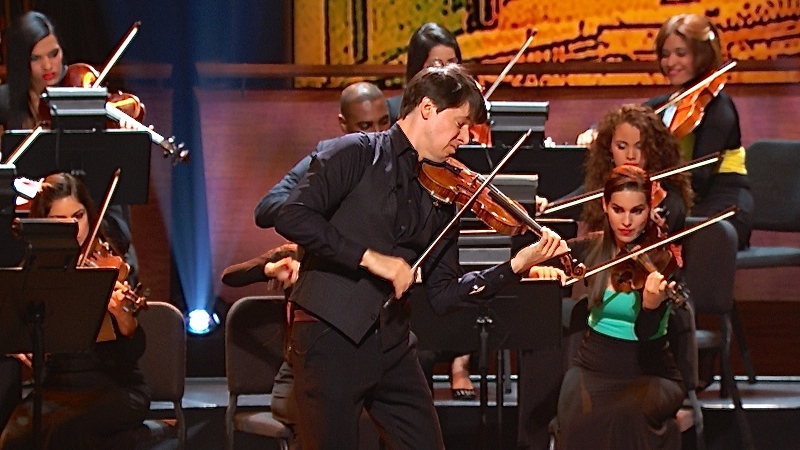 December 14, 2016, 11:11 AM · You might want to find your local PBS station on the television or streaming service, because you'll probably want to tune in Friday to Live from Lincoln Center: Joshua Bell's Seasons of Cuba. Bell told us in an October Violinist.com interview after the trip that he was impressed with the music he found in Cuba. "I knew there was classical music in Cuba, and I'd heard that they had good training there," Bell said, "but it exceeded my expectations." He described popular Cuban musician Carlos Varela as "a musician who is kind of their local hero, sort of like Bob Dylan is to Americans. He's very revered, and his way of making music is poetic, very much like Bob Dylan." While you have the TV on, you might also want to check out Mozart in the Jungle, which just launched a new season December 9th in which you'll also find guest appearance by Bell.